The Air Conditioning Company have seen a huge increase in visitors to their website thanks to Ashton Kutcher picking up on and tweeting one of their articles. Ashton Kutcher's twitter profile aplusk is one of the most popular there is, he has over 2 million followers. 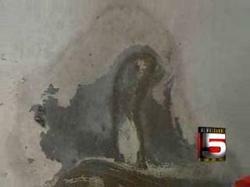 is it me or does this look more like the grim reaper than the virgin mary? "is it me or does this look more like the grim reaper than the virgin mary?" The Air Conditioning Company have seen a huge increase in visitors to their website, they have had an extra 17,000 people on their website in the last 3 days.